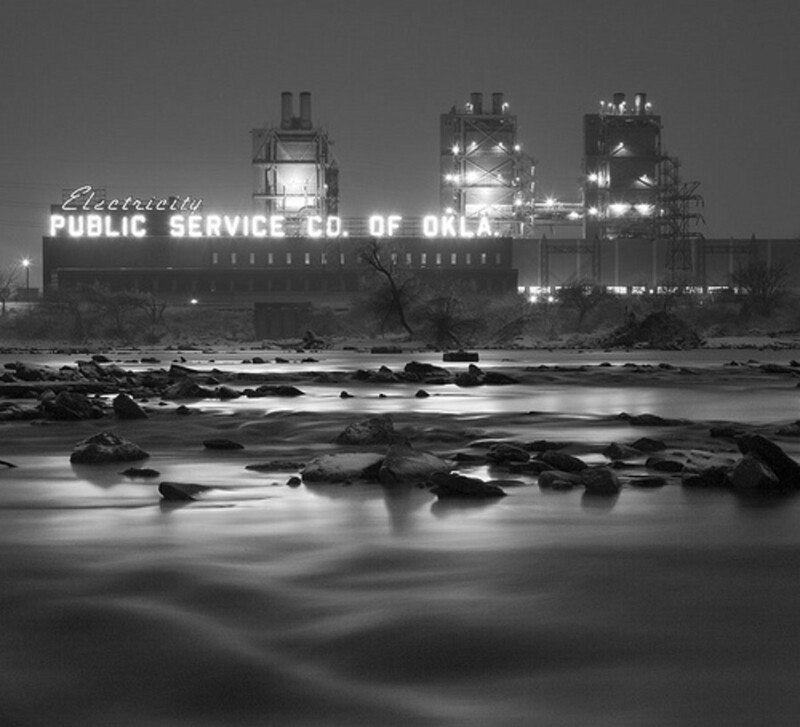 Tulsa is a city rich in American history, heritage and creative expression - from its Native American origins to its oil industry growth to its art deco landmarks. 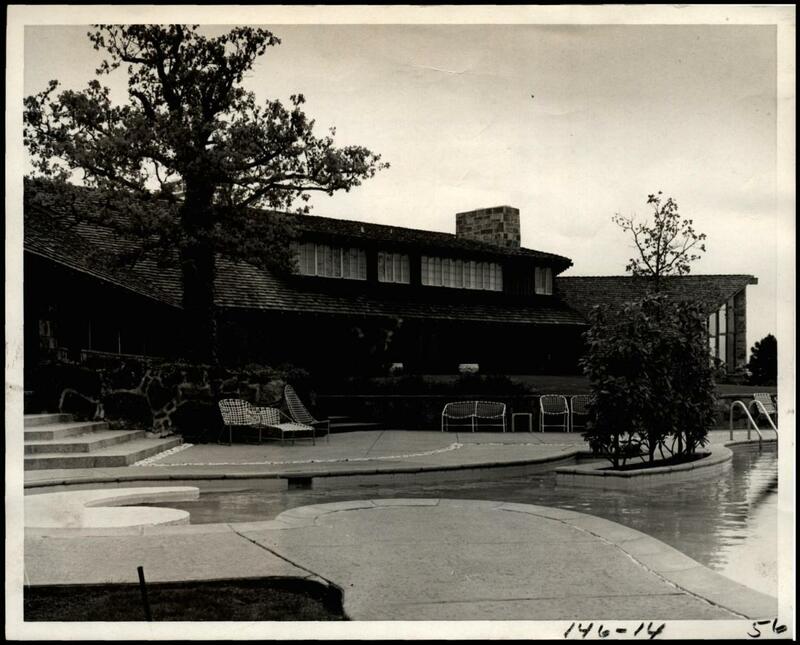 With this history, a plethora of Tulsa attractions has been established through the years. Some of these museums are world renown for their impressive collections, while others are more of a local curiosity. 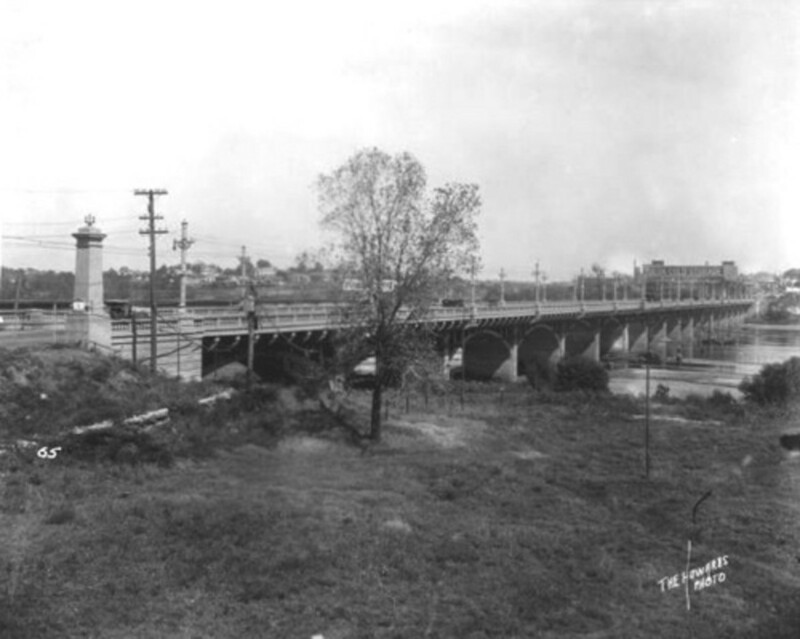 Museums in Tulsa: The Early Days of Modern Transportation on the Arkansas River. 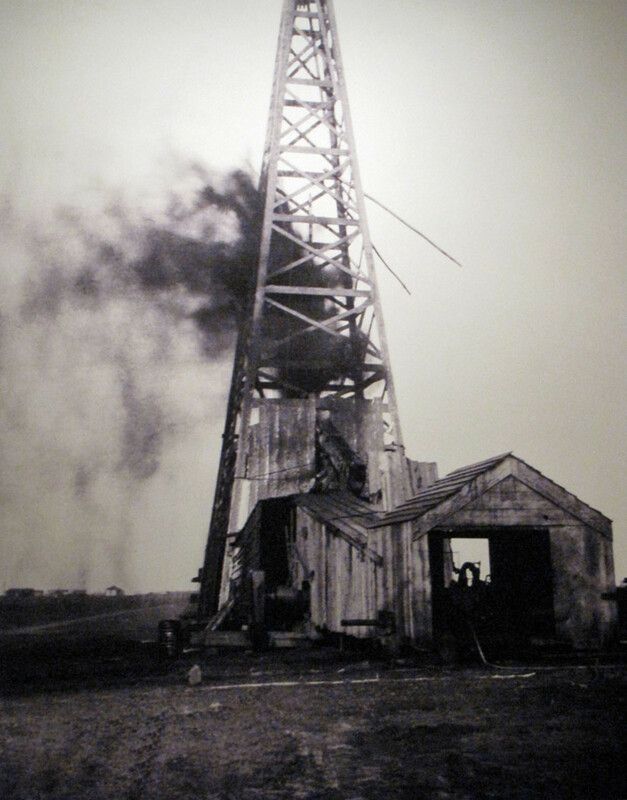 Image on display at the Arkansas River Historical Society Museum at the Port of Catoosa. 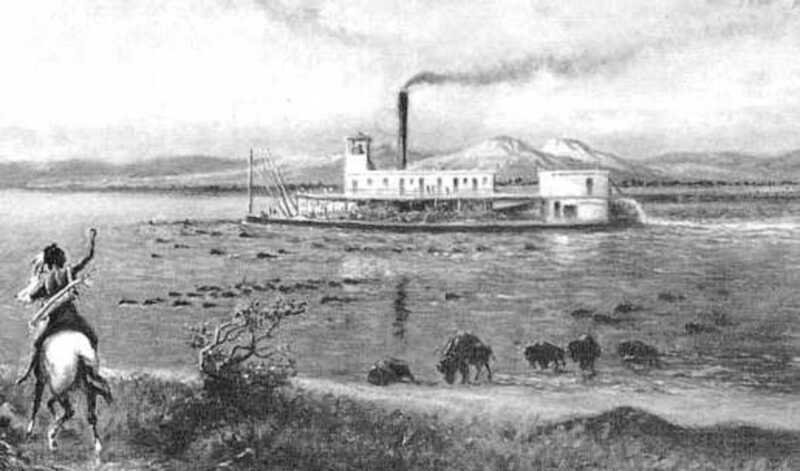 Ever since the first inhabitants of Oklahoma settled on her soil, they have been using the Arkansas River as a source of transportation. 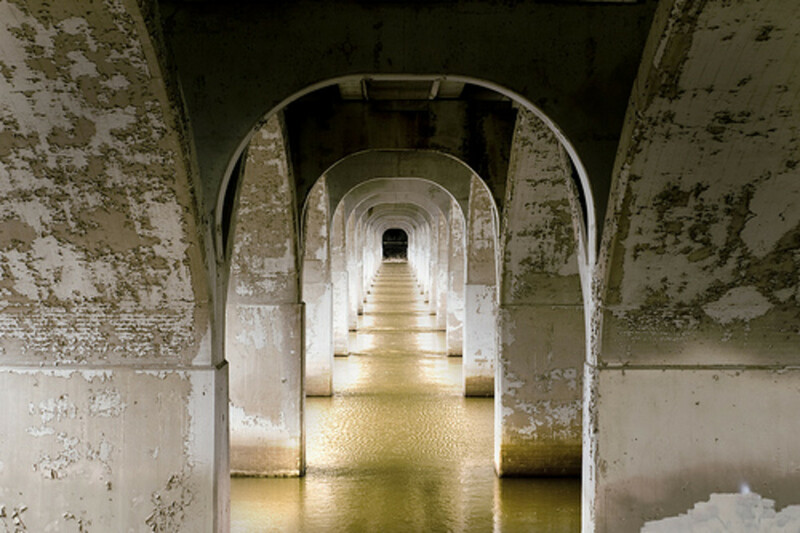 The Arkansas River Historical Society Museum documents the history of this great river. This museum remains one of the most unique Tulsa attractions in the area. The museum covers everything from Native American use of the Arkansas River to modern cargo transport methods. 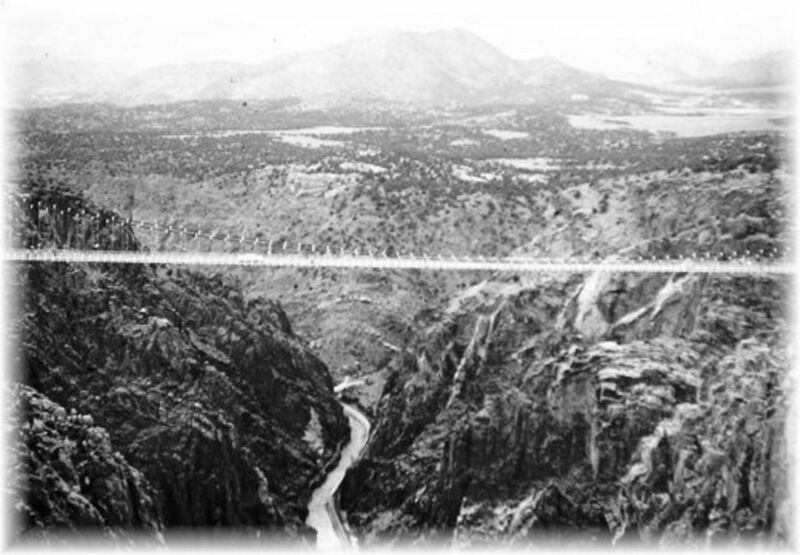 In the Arkansas River Historical Society Museum, there are special exhibits on Civil War river lore, Archeology and artifacts along the River, waterway memorabilia, a motorized model of a Lock and Dam, and a vast photographic archive. As a special display, the towboat M/V Charley Border is permanently docked adjacent to the museum and education center. 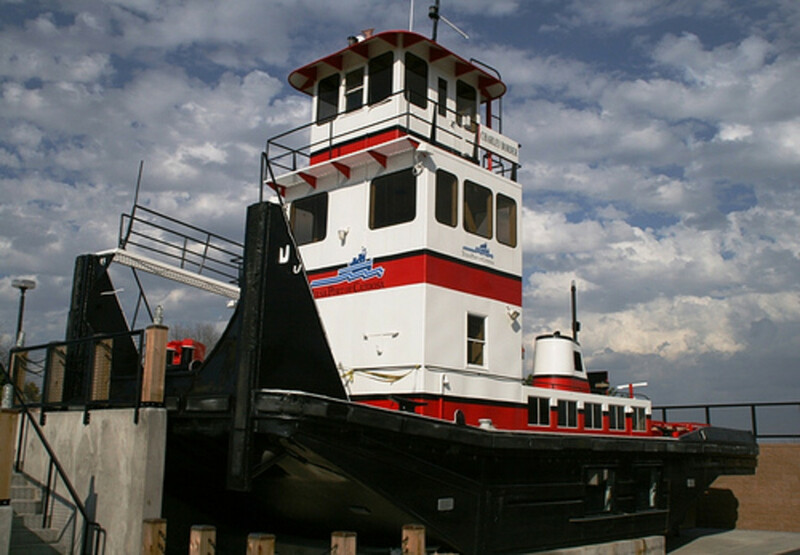 The towboat served the Port of Catoosa for over thirty years. 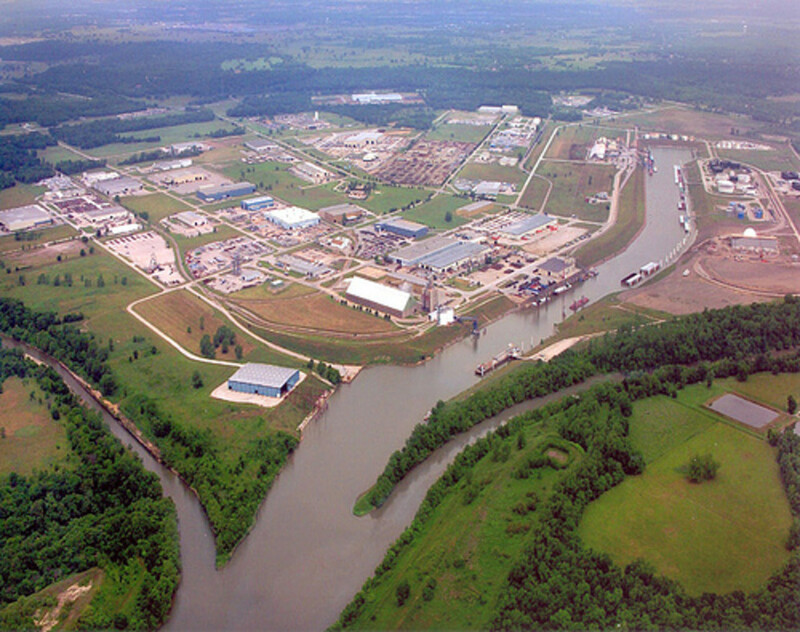 Adjacent to the Arkansas River Historical Society Museum, the Port of Catoosa is the farthest inland seaport in the United States, linking Tulsa to the Arkansas River and eventually to the Gulf of Mexico. 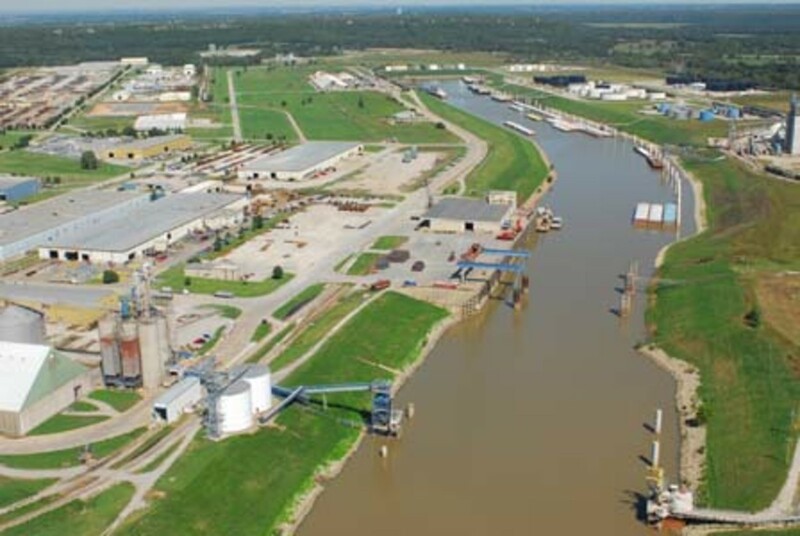 Situated only 15 miles from Tulsa, The Port of Catoosa is the largest port in Oklahoma and runs a total of 445 river miles. Typically, it takes a commercial tow around ten days to get to New Orleans from the port. Interestingly, there are three designated Foreign Trade Zones along the navigation system at the public ports at Little Rock, Muskogee and Catoosa. From I-44 or I-244 take Route 169 North to "Tulsa Port of Catoosa/46th Street North" exit. 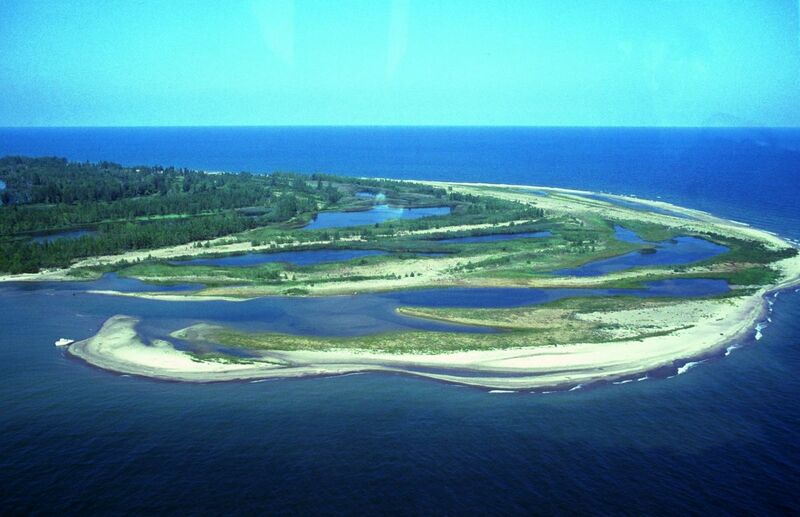 Proceed on 46th Street North (about 5 miles) to intersection at Port entrance. Go straight to enter Port on Main Parkway. Follow signs approximately 1 mile to Port Authority Building.--The Museum is in the Port Authority building. The Elsing Museum is an amateur geologists dream. With over 3,000 specimens of spectacular minerals, priceless gems, and natural art this vast collection would please any amateur geologist. The Elsing Museum collection includes 200 different mineral species that represent the different regions in Oklahoma, as well as hundreds of rare specimens from around the world. Within the museum, special exhibit rooms are set aside for fluorescent minerals and delicate carvings. Although the Elsing Museum centers on geology, amateur archeologists would be equally impressed. The museum houses a similarly extensive collection of fossils, Native American artifacts, and oriental carvings. Again, there is a great variety of regional archeological artifacts in the Elsing Museum. These artifacts range from crudely chiseled Native American spear heads and religious symbols to carvings of intricately sculpted ivory pieces. The museum began in the 1950’s. In Joplin, Missouri, Willard Elsing opened a small rock and mineral shop, building on the ore minerals of the Tri-State Lead and Zinc Mining area. This Route 66 store quickly became a success, and Elsing soon acquired pieces from all around the world. 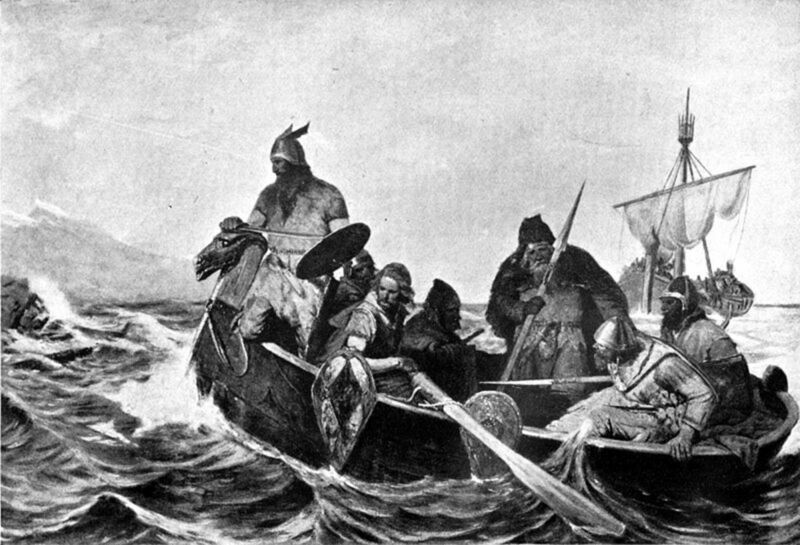 He kept the most rare and unusual pieces, which ultimately ended up in the Elsing Museum. A visitor’s first glance of the Elsing Museum makes it clear that countless years of enthusiasm and careful selection by Willard Elsing has resulted in an irreplaceably unique exhibit. 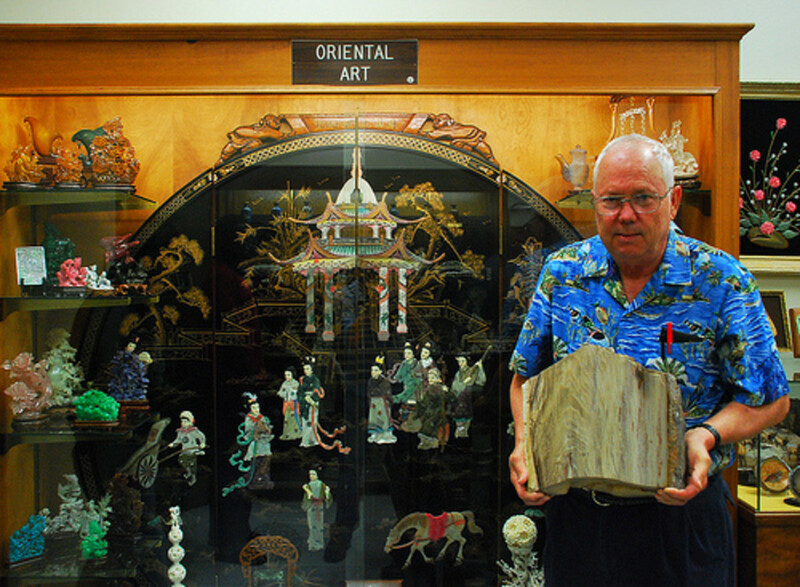 Museums in Tulsa: Asian display at the Elsing Museum at Oral Roberts University. The Earth Science Professor, Dr. Meleen, cares for the museum. 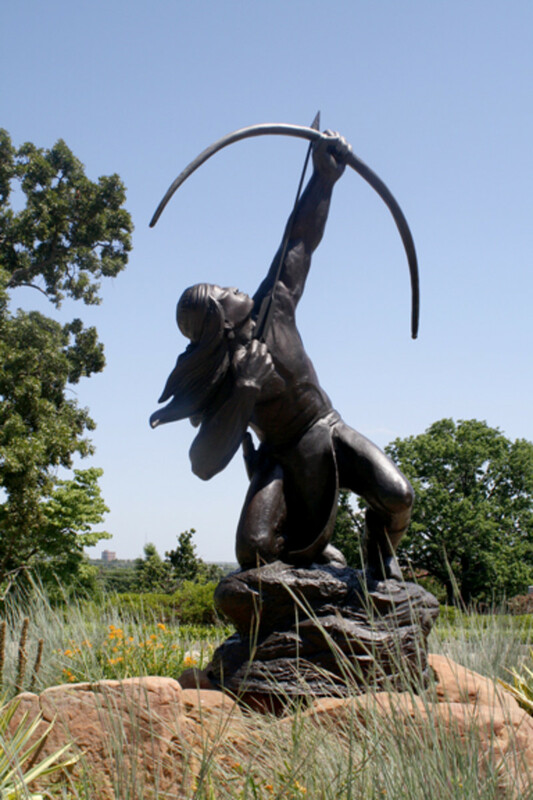 The Gilcrease Museum exemplifies the spirit of the American West. 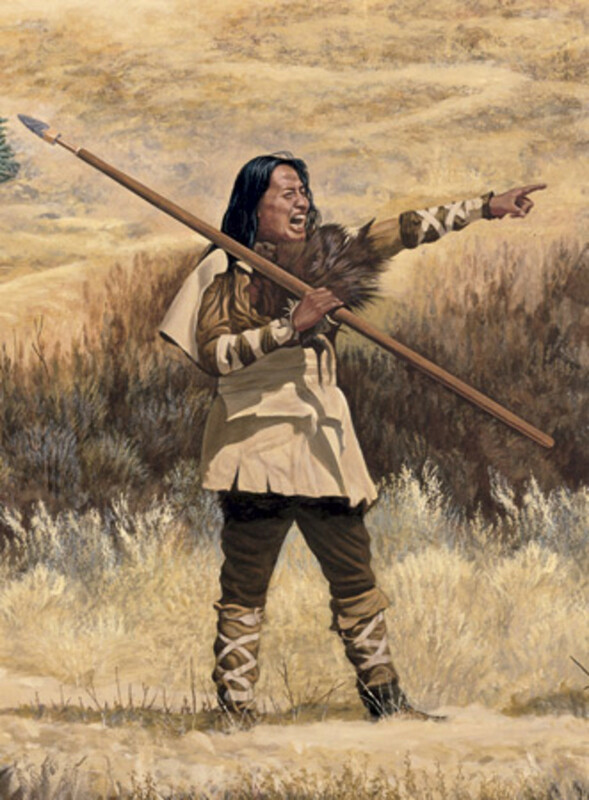 Thomas Gilcrease, a wealthy oilman, spent over half of his life collecting art that depicted scenes from the American West, as well as Native American life. During his lifetime, Thomas Gilcrease collected more than 10,000 artworks, 250,000 Native American artifacts and 100,000 rare books and documents. Among this collection is the only surviving certified copy of the Declaration of Independence and the Articles of Confederation, both signed by Benjamin Franklin and Silas Deane. 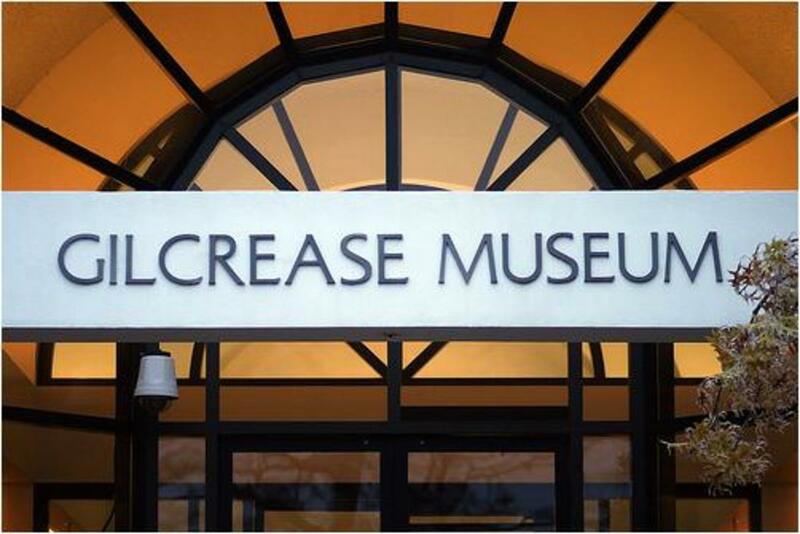 The Gilcrease Museum now holds the world’s largest, most comprehensive collection of art and artifacts of the American West. This collection grows seemingly constantly. Almost every day, new artifacts are brought into the museum, including artifacts from Central and South America, as well as other rare western art. 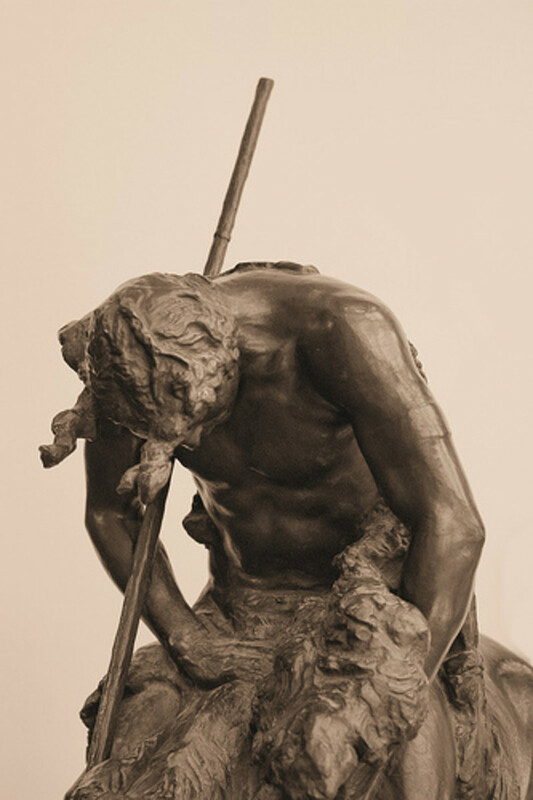 Collections inside the Gilcrease Museum include works from Albert Bierstadt, Frederic Remington, Thomas Moran, and Joseph Henry Sharp are featured prominently. There are also displays in the Gilcrease Museum from artists such as Charles Marion Russell, Alexandre Hogue, and John James Audubon. 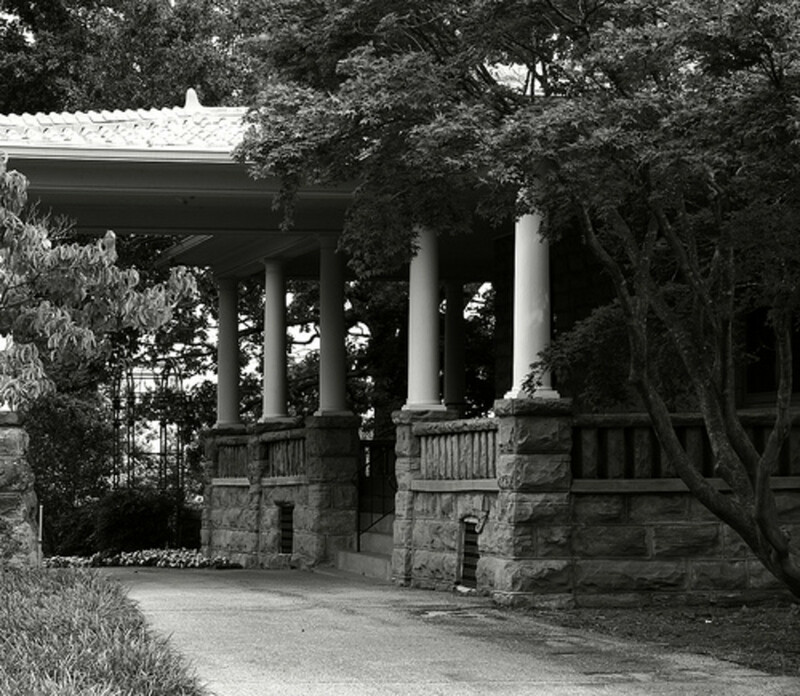 In addition to the sculptures and works of art, themed gardens have been developed on 23 of the museum's 460 acres. These gardens have all been based on Gilcrease collections. The Gilcrease gardens reflect gardening stiles and techniques from four time periods in the American West: Pre-Columbian, Pioneer, Colonial, Victorian, as well as a rock garden. 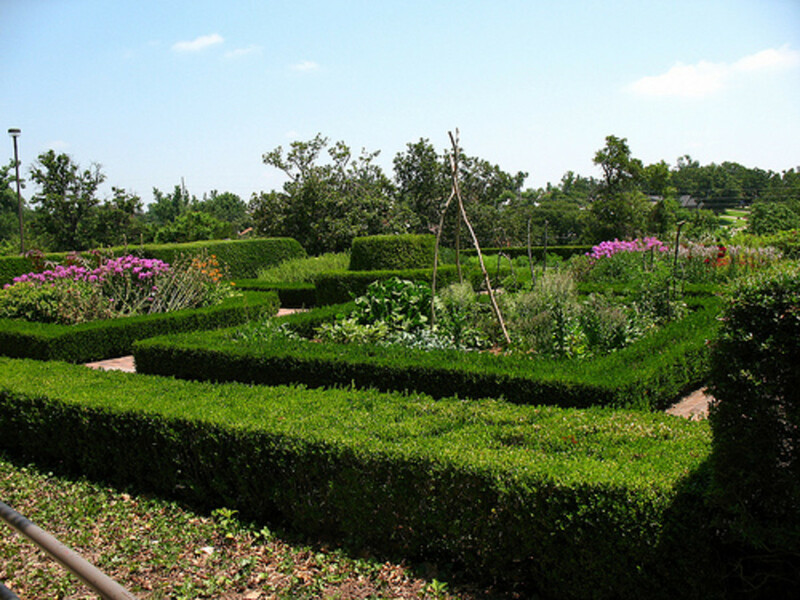 The Gilcrease Museum is the only known art museum to have these types of educational and inspirational gardens on one site. In an old 1910 Tudor mansion northwest of downtown Tulsa, the Ida Dennie Willis Museum of Miniatures, Dolls, and Toys is a whimsical delight for all to see. Encompassing 13 rooms on two floors, the museum displays over 2,000 dolls, dollhouses, toys, and miniatures. 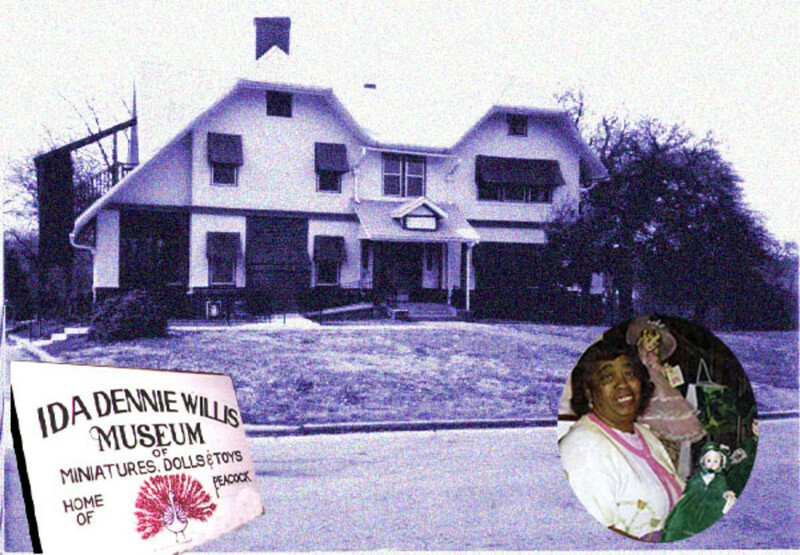 The Willis Museum was owned by Mrs. Ida Dennie Willis, a retired schoolteacher who had a passion for dolls. Most of the items that are on display were collected by Willis through the years, and had such a special place in her heart that she could not let them go. Instead of hiding these priceless treasures away, Ida Dennie Willis decided to share them with the world. 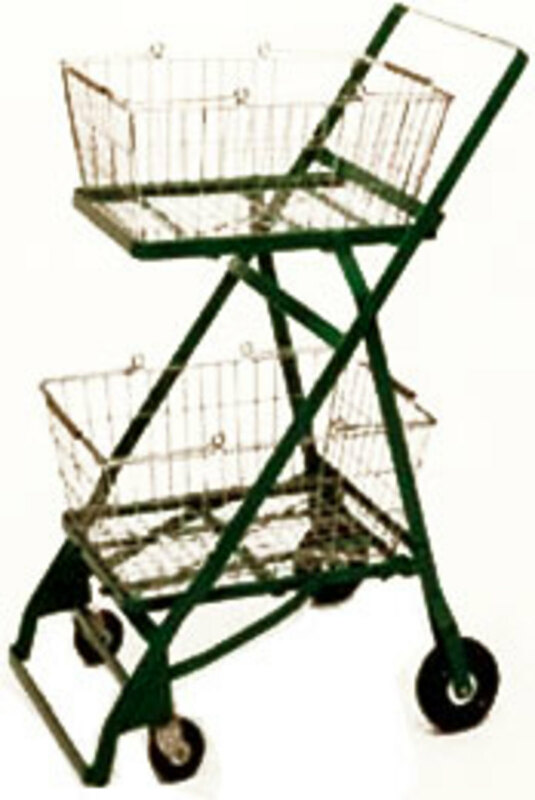 In the Willis Museum, a good majority of the items date from the early 1900’s through the 1980’s. Some of the collections include: Fannie Hill’s "One Thousand Dolls," Eddie Fay Gates’ ethnic dolls, as well as dolls used in advertising, a collection of Native American Dolls and artifacts from the collection of Buena V. Green, handcrafted miniature houses and a Gypsy caravan by Carl Smith. While the collection is impressive, the mansion that this museum is housed in is equally impressive. Even without the toys, the 100 year old house is worth a visit. On Friday, October 6, 2009, Ida Dennie Willis passed away at the age of 80. Still, her legacy and love of toys and dolls lives on at the Ida Dennie Willis Museum of Miniatures, Dolls, and Toys. The Indian Territory Gallery showcases various forms of art created by members of Oklahoma's 39 different tribes. 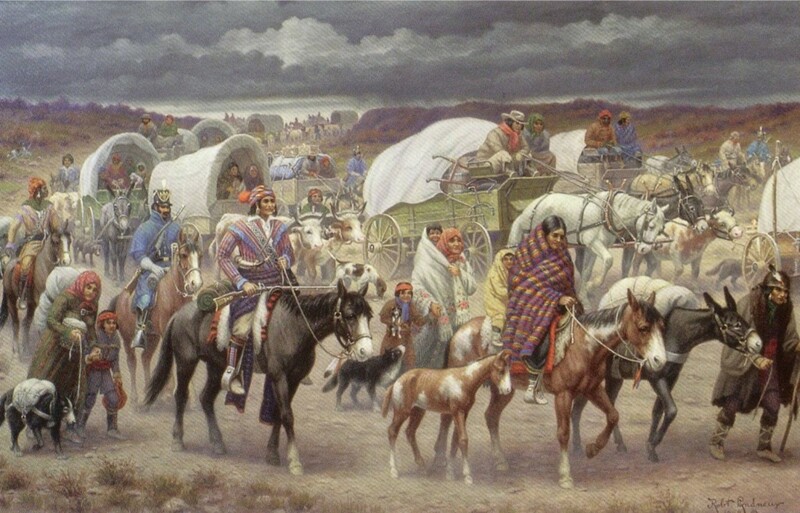 Many of the artists are direct descendants of those who were forcibly moved to Indian Territory during the Trail of Tears. 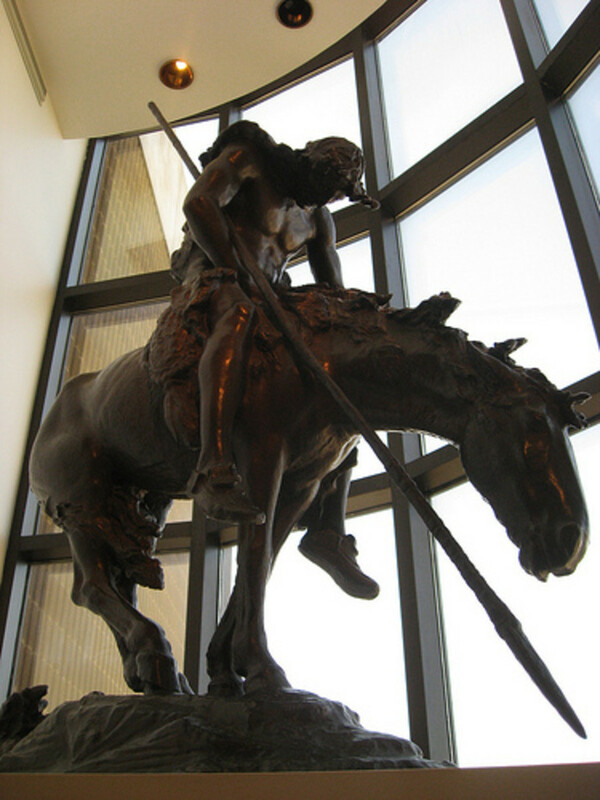 This gallery features native art, including sculptures and bronzes by the world renowned artist Williard Stone, as well as exhibits on Indian history and culture. One can also view working artists as they create great works of at that are unique to Oklahoma. Running from 1946 until 1976, Captola Thomas and her husband ran a linen laundry out of their home under the name of Thomas Hand Laundry. Shortly after 1976, the museum was moved several times until it landed in its permanent home today. The museum includes antique linens and needlework from around the world. Rotating exhibits feature vintage and contemporary needle and textile art. Demonstrations and seminars are available for various types of needle art. In addition, educational presentations and displays are held upon request for groups and schools. The International Linen Registry Museum is located in the Upper Level of the Promenade Mall on 41st and Yale. 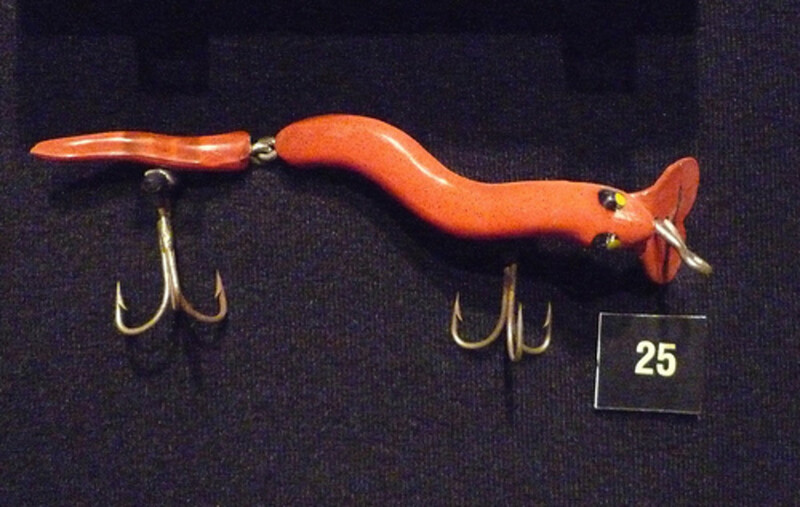 Located in Jenks, Oklahoma, the Karl and Beverly White National Fishing Tackle Museum has over 20,000 pieces of fishing tackle valued at more than $4 million dollars.The exhibit makes up the largest and most comprehensive antique fishing tackle collection in the world! Artifacts in this museum include the first gasoline outboard engine and the very first Skeeter Bass Boat, as well as thousands of unique and stunning fishing lures. The Mabel B. Little Heritage House Museum is located in the historic Greenwood district. Situated in the heart of what was once known as the "Black Wall Street of America", the house, once owned by the Prince-Mackey family, was relocated to its present location and has been funny restored. It is a historic two-story brick home built in the 1920s, completely outfitted with items that date back to the days before the Tulsa Riot. The antique furnishings have been arranged in the same way that they would have appeared in the 1920s, and bring a unique perception into the lives of the people that lived there. 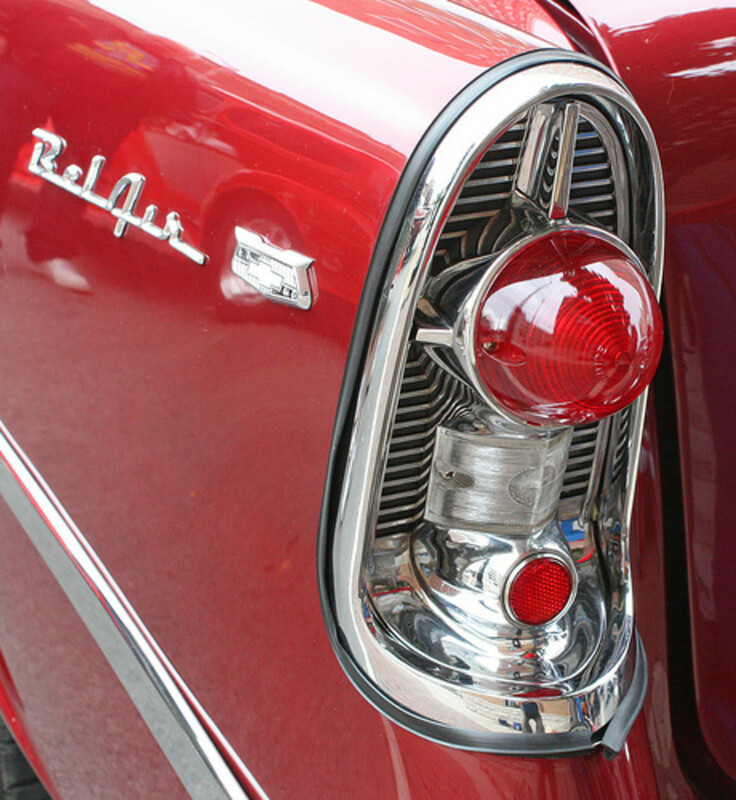 A large number of antique automobiles of the past are displayed in pristine condition at Macs Antique Car Museum. One can enjoy the the practicality and durability of the cars of the 1920s, the grace, beauty, and style of the cars of the 1930s, the strength and power of the cars of the 1950s, the sleekness of the cars of the 1960s, and the opulence and luxury of the Rolls-Royces of the 1980s. There are over 40 rare and vintage cars, including Rolls Royce, LaSalle, Packard, and the 1948 Hudson featured in the movie "Driving Miss Daisy." The Missions Memorial Museum is a world-class museum and gardens dedicated to commemorate the sacrifice of love that so many have made and are making for the advancement of the Gospel. This uniquely designed memorial highlights the journey of personal sacrifice in homage to those courageous saints who laid down their lives for what they believed. A common thread unites extraordinary testimonies for the visitor from the beginning of Christianity up to this current day. Walking paths connect information stations and intertwine through trees, ponds, foliage, and around one of the largest man made waterfalls in Oklahoma. Wow! I will have to go to Tulsa. It is such an interesting place, esp. the miniature museum. You should work for the tourism dept., you are good.